Now that Photokina is over and we are impatiently waiting for the latest cameras and gear to ship, it’s a perfect time to hone up on our photography skills. 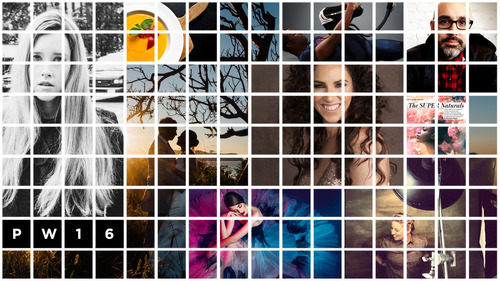 Luckily, our friends at Creative Live are hosting their annual Photo Week this week, September 26 – 29. Photo Week 2016 is four days of photo education, brought to you through 24 live classes taught by top photographers and educators. It is geared toward people who are comfortable with the basics of photography and are looking to expand their knowledge base into more advanced techniques. Some of the classes we are really looking forward to include Brandon Stanton (the photographer behind the popular photo blog Humans of New York) discussing how his experiences have shaped his work as a storyteller, Vincent Laforet sharing ideas for how to move your business from stills to video, Jared Platt giving tips on a whole range of post-processing topics, and Chase Jarvis opening up about his experiences in the photo industry. As with all Creative Live classes, you can watch the live classes online for free. If watching the live class won’t fit into your schedule, you can purchase on-demand access so that you can watch it on your own time. The price for the entire week (including all 24 classes) is normally US $499, but they are offering it for US $199 for a limited time. But there’s more! DPReview readers can use the discount code ‘DPR10‘ to receive 10% off of any Creative Live class through December 31, 2016. Check out the Photo Week schedule to see what’s available. What looks interesting to you?